You may be one of the many individuals who is putting off the process of planning their estate but it’s important for anyone who is a caregiver for an elderly person or a parent of anyone with disabilities to initiate a head start. Unfortunately, when you’re putting together a will, many individuals will think of the material items that they will leave behind to others. But what happens if you are caring for someone with a disability? There are many different needs that someone with a disability may cope with as they get older and things that parents need to know in order to have these things in place for their future. A caregiver should have a plan in place both for themselves and for the elderly or disabled person they are caring for. A sudden change in the life of either person could trigger serious problems, so planning ahead is essential. Consulting with a knowledgeable estate planning attorney about putting together a special needs trust, for example, can be beneficial. In addition, a caregiver may wish to have a life insurance policy in place that could pay off the proceeds to a trust or directly to an individual who is coping with special needs. Bear in mind that additional planning may need to be done in order to include the fact that most individuals who have disabilities or on government programs that the qualification for these programs should not be jeopardized by giving an outright gift. Consulting with a knowledgeable estate planning lawyer can help. All too often, cats are surrendered to animal shelters because their owner either died or had to enter a long-term care facility where the cat was not allowed. In order to avoid this fate, a recent article argues that cat owners need to have a long-term care plan in place for their pet. Importantly, this care plan can be simple and easy to create. The first step in creating a long-term care plan for your cat is selecting a trusted friend or relative who may be willing to care for the cat in your absence. Discuss your designation with that person to make sure that he or she is up for the task. If you have an estate plan, you can insert a clause that gives your cat, and some money for its care, to the designated caregiver. If you do not have an estate plan, you can simply make a care arrangement with that person. In your will or care arrangement, be sure to outline your cat’s routine. This may include feeding and exercise habits. Also include all medical information, including your cat’s veterinarian, where his or her medical records are located and any current medications. Importantly, provide the designated caregiver with a spare key to your home or apartment. This will allow the person to enter your home if you suddenly become incapacitated. Finally, be sure to set some money aside for your cat’s care. When determining how much money to provide, consider that your friend will need to pay for food, veterinarian bills and any other necessary care expenses. 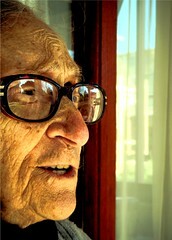 Many adult children are living with and caring for their elderly parents. As a recent article explains, it would be beneficial for both parties to create a care contract for these services. Through a care contract, the parties can agree that the caregiver will assume responsibility for, and accept a specified payment from the loved one. Without a care contract in place, Medicaid representatives may consider the money given to the caregiver to be a “gift” or “transfer of assets.” If this happens, the money will be factored back into a person’s assets and he or she could be denied coverage. It is also important to have a care contract from a caregiver’s perspective. Without a care contract, other heirs may think that the caregiver offered his or her services for free and may attempt to reduce the caregiver’s inheritance accordingly.